Nadine was born and raised in Edmonton, and has been obsessed with music since she was a teen. 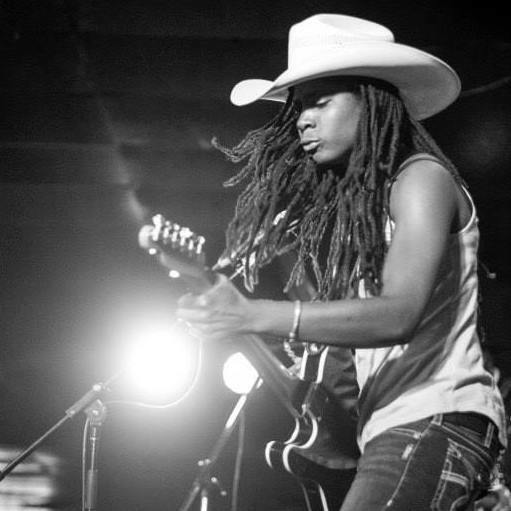 She’s released two albums with The Black Wonders, and is a force in the local music scene. Her sound blends R&B, rock, soul, folk and blues into a cohesive, natural feel that is all her own. Guitar-driven melodies and Nadine’s soulful deep voice come together to leave an indelible impression on the audience. Her songs are about family, the working class, heartbreak and how to tell a lover you are leaving—all performed with a touch of humour.